In 1936 Mr P Dyson, of Banstead in Surrey, bought an 11-50 Brough Superior from Godfreys in London. 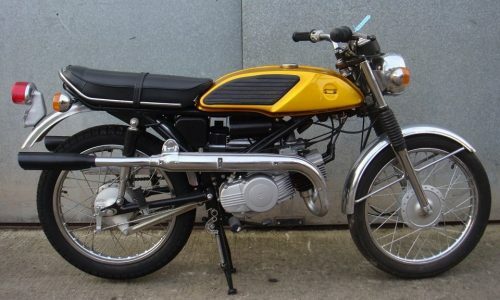 In 1972 he generously donated it to the National Motor Museum along with it’s Brough Superior Alpine Grand Sports sidecar. The bike and sidecar remained on display in the museum in unrestored, well used condition until 2007 when the Museum was offered a donation by Rob Aylott for its restoration in memory of his father who, like many motorcyclists of the pre war period, always wanted a Brough Superior. Like most restoration projects that the Museum undertakes in the workshop, the initial survey of work expands as the work progresses – the Brough Superior was no exception! An additional complication for the workshop was that almost all Brough Superior motorcycles were custom-built to the customer’s needs, and rarely were any two of the same configuration and components. Workshop motorcycle specialist, Michael Gillett who undertook the restoration project was faced with many difficulties in his search for museum quality authenticity down to such little things as wiring loom connectors used in 1936 or a period style tail light meeting current legislation. The last piece of the jigsaw has recently been put in place; the missing side car windscreen having been researched, manufactured and fitted ready for display. After nearly ten years research and work, the 11- 50 Brough Superior is now complete. 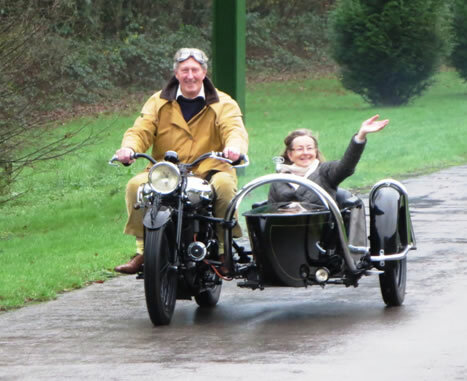 Throughout the research and restoration Rob has visited the workshop many times to see progress and just before Christmas 2015 he was given a great Christmas present – the opportunity to ride the completed Brough round the grounds with his wife Jane in the sidecar. Today Brough Superior bikes are very sought after and fetch eye watering amounts at auction – this is quite simply a reflection that Brough Superior motorcycles and sidecars were, and are, the Rolls -Royce of British motorcycling history. Brough Superior motorcycles have always been rare and expensive. Prices for these motorcycles ranged from £100 to £185 in the 1920s and 1930s. Since the average annual salary in Britain during the 1930s was £200, only the wealthy were able to afford them. 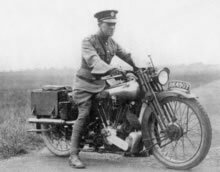 Probably the best known owner was T. E. Lawrence (“Lawrence of Arabia”) who owned eight of these motorcycles and died from injuries sustained when he crashed number seven, the eighth was then on order. George Bernard Shaw was another among many celebrities who were enthusiastic Brough Superior owners. motorcycle was dismantled and all the parts painted or plated as needed. Finally, the finished parts were assembled a second time. Every motorcycle was test ridden to ensure that it performed to specification, and was personally certified by George Brough. 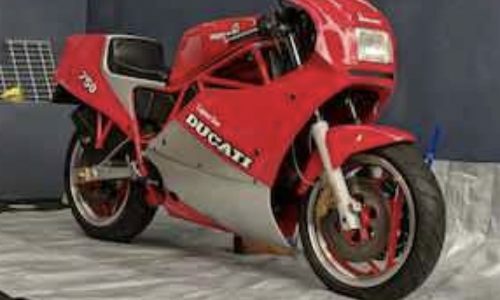 The fit and finish was comparable to a Rolls-Royce car, and they were the most expensive road-going motorcycles in the world. Brough Superior also manufactured sidecars. These had coach-built bodies, the fit and finish of these again being of the highest standard. 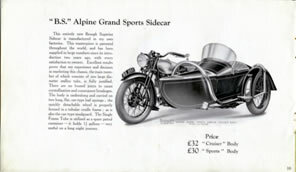 Later sidecars were unique in that the frame also held fuel. The frame looped over the top of the sidecar body and had a filler cap at the topmost position. Fuel was pressurized by a hand pump that transferred fuel to the petrol tank on the motorcycle – it is one of these that is on the museum’s Brough. 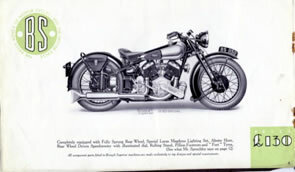 11.50 Brough Superiors were powered by J.A.P 1096 cc side valve 60° V-twin engines. These were primarily designed for sidecar and police use. Approximately 308 were manufactured from 1933 to 1940. The model name refers to the horsepower rating of the engine, 11 RAC (Royal Automobile Club HP which equals the piston diameter squared times the number of cylinders divided by 2.5.) and 50 bhp.